2016 was a bumper year for the PHE Screening blog – which is now the 6th most subscribed blog across government. More than 50,000 different people visited our blog during the year and our regular subscribers soared from just over 1,000 to nearly 3,000. We posted 152 separate articles during the year to keep screening professionals, commissioners and stakeholders updated on the work of all 11 national NHS Screening Programmes and the UK National Screening Committee (UK NSC). So, as we enter a new year, here’s a chance to have a quick look back at our 10 most popular blog posts from 2016. New letters and leaflets for cervical screening – 4,022 views. This article explains the NHS Cervical Screening Programme’s introduction of new national invitation letters, result letters, invitation leaflets and leaflets for women referred for colposcopy following an abnormal screening result. HPV primary screening in the cervical screening programme – 3,257 views. This article summarises the potential implications of the UK NSC’s recommendation that the cervical screening programme adopt HPV primary screening. 2016-17 service specifications published for NHS screening programmes – 3,158 views. This summarises important changes to the national screening specifications in England from 1 April 2016. Updated guidance for GPs on PSA testing for prostate cancer – 2,920 views. Updated information pack helps GPs and primary care professionals advise well men aged 50 and over about prostate specific antigen (PSA) testing for prostate cancer. The UK National Screening Committee: Positive Recommendations – 2,445 views. The UK NSC recommends major changes to 4 national screening programmes. GPs: staying up to speed with cervical screening – 2,444 views. Dr Jim McMorran updates fellow GPs on developments in cervical screening. Getting ready for the end of rubella screening in pregnancy in England – 2,204 views. The infectious diseases in pregnancy programme stops offering screening for rubella susceptibility from 1 April 2016. A vision for vision screening – 1,919 views. An advisory group is set up to support the implementation of consistent, high quality local child vision screening services. Newborn blood spot screening: new guidelines, leaflets and data published – 1,899 views. The newborn blood spot programme publishes a range of important information and resources. Cervical screening; what the statistics indicate – 1,487 views. National annual report summarises cervical screening data in England. 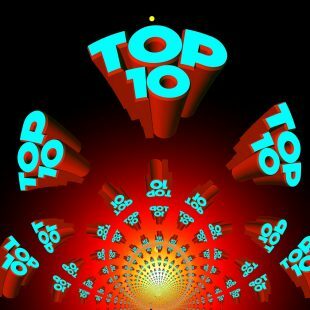 Some of the most popular blog posts we published towards the end of 2016 might yet break into this top 10 list as they are still attracting a lot of views. Happy New Year to all our PHE Screening blog readers and subscribers. Don’t forget you can let us know what you think by providing feedback on the blog page to any of our posts. You can also suggest issues we can cover in the blog by contacting the PHE Screening helpdesk. Thank you for spotting that. All links are now correct.